An average home buyer in Australia needs to put down over $100,000 as an upfront deposit to purchase a property with a median dwelling value of $554,605. Not surprisingly, many first home buyers find it difficult to save a 20 percent home loan deposit, citing it as the most significant barrier preventing them from entering the property market. Fortunately, it is still possible to secure a low deposit home loan by paying Loan Mortgage Insurance (LMI), which can add a few thousands to your home loan, or turn to the bank of mum and dad for help. Did you know 54 percent first homebuyers rely on their parents to help with their first property purchase? But what if your parents are not loaded with cash to help you with your home loan deposit? Well, there is one more source you can turn to for help – your family home – that can be used as a guarantee to secure your home loan. Yes, by using the equity in their home as additional security, your parents can help you borrow up to 100 percent of a property’s price without paying any LMI. Certain banks may also allow your siblings, spouse or grandparents to guarantee your home loan. According to a new study of 1,000 Australians, less than 5 percent first home buyers used a guarantor to buy their home. However, over one-fifth of first home buyers under the age of 30 years used a guarantor to purchase their first abode. The report also pointed out that almost 15 percent of prospective first home buyers intend to use a guarantor to secure a home loan. Can a guarantor loan help you on your home buying journey? Linda and Jack recently purchased their first home for $650,000. The architect couple earns well enough to service the mortgage on their home but did not have an adequate deposit to purchase their dream home immediately. Luckily, Linda’s parents stepped in and agreed to guarantee their kids’ home loan by using their unencumbered family home. Linda and Jack were finally able to purchase their home without paying anything extra as LMI. Thanks to Linda’s parents, they didn’t have to wait to build up a deposit in the face of rising property prices. The couple is currently making additional repayments on the home loan to build equity faster and release their parents from the guarantee sooner than later! Jack and Linda’s story isn’t very uncommon, according to Ashley, a seasoned mortgage broker but she urges both buyers and guarantors to exercise caution. “Guarantor loans have indeed helped several first home buyers purchase their first home without unnecessary delay,” explains Ashley. 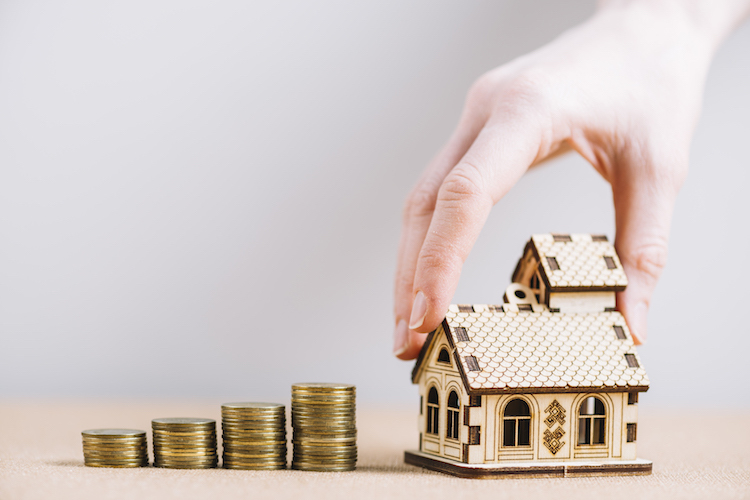 “Yet, having a family member guarantee your home loan is not without risk, and it is important to think your finances through before making the decision,” she adds. Ashley is right in what she says. While guarantor loans provide a convenient stepping stone for first home buyers to climb the property ladder, it is a major financial responsibility for the guarantor who is responsible for paying the debt in case the first home buyer defaults on the home loan. The guarantor will also find their borrowing capacity reduced, which can hinder their financial well-being and goals. It is, therefore, very important for both the buyer and the guarantor to carefully review their financial condition before taking any decision. Parents who intend to guarantee their kids’ home loan are strongly advised to seek independent legal and financial advice. It is also possible to cap the guarantee to a certain amount or use an investment property instead of the family home as additional security to guarantee a loan. Read more about family guarantee loans. Getting a family guarantee loan is usually straightforward but different lenders have different eligibility criteria and seeking help from an expert mortgage broker could be the easiest way forward. “…there are different policies for different lenders and your parents being retired or nearly retired can impact certain lenders assessment and approval of these types of loans. There are other lenders who allow a family guarantee and make the process fairly easy,” explains Glenn, a HashChing mortgage broker who believes getting in touch with an experienced broker can make things as easy as possible. HashChing makes the process even simpler by putting you in touch with ace mortgage brokers in your area instantly. All you need to do is fill up this contact form or post your query online, and one of our partner brokers will contact you. HashChing is an online mortgage marketplace that enables Australian homebuyers to compare broker pre-negotiated home loan rates online. Aspiring home borrowers can get in touch with our verified broker partners online to have their queries answered by experts in a transparent manner, free of cost. Click here to browse our broker database.